I'm heading off today for Southampton, from where I will be boarding the Celebrity Eclipse on Saturday as part of the eighth Unlock the Past genealogy cruise. This time we're heading for the Baltic, with visits to Bruges, Warnemunde, Tallinn, St. Petersburg, Helsinki, Stockholm and Copenhagen, which I am looking forward to immensely! This will be my third cruise with the company, where I will be giving several talks as part of the speaker team, with many other great speakers - the full line up is at http://www.unlockthepastcruises.com/cruises/8th-unlock-the-past-cruise-baltic/. I have absolutely no idea what the wifi situation will be over the next two weeks (it's usually very expensive on board), so I will try to post as and when, but invariably there will be some gaps in coverage, which I will try to make up for when I get back! It has been an exhausting and frantic first half to this year, but life begins to return to normal for the second half, so hopefully I will be able to get back to some more full time blogging in due course - and maybe the odd podcast or two. 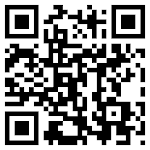 The latest British GENES podcast is available at http://britishgenes.blogspot.co.uk/p/podcasts.html. 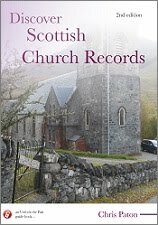 For details on my latest book Down and Out in Scotland: Researching Ancestral Crisis, and my other genealogy guide books, please visit http://britishgenes.blogspot.co.uk/p/my-books.html.